Yesterday (Jan 27) was a rough day for Blink-182 fans. The catalyst was a press release stating that guitarist/vocalist Tom DeLonge had "indefinitely" departed from the band. 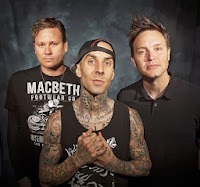 Later in the day, Tom responded that he "never quit" Blink-182, but that the statement had been sanctioned by bassist/vocalist Mark Hoppus and drummer Travis Barker. Next, in an exclusive interview with Rolling Stone, Hoppus and Barker said that the "disrespectful and ungrateful" DeLonge was indeed out of the band, as indicated by e-mails from his manager. Today, Tom has released a statement to share his side of the story. Explaining the efforts to which he went to help move the band forward, he cited the recording of their 2012 EP, "Dogs Eating Dogs," as a moment of "self-sabotage" for them. 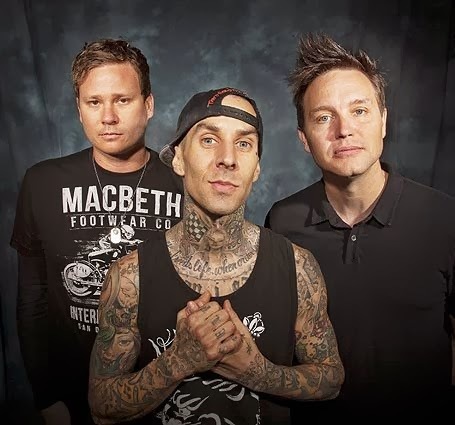 Leading the charge on the recording process, DeLonge says that he spent two months in the studio, while Hoppus and Barker only came in for 11 days. "At one point, squabbling and politics forced me to pull the EP down at a time when 60,000 fans were trying to purchase it," DeLonge wrote. "And that blew my mind. I’d been trying so hard but that moment ultimately broke my spirit. I then realized that this band couldn't lose the years of ill will." As Blink-182 searched for a partner to support the recording of a new album, DeLonge was also engaged in crafting a variety of projects for his other band, Angels & Airwaves, as well as launching a media company. According to DeLonge, he was then handed a "60-page Blink contract" prohibiting him from releasing an Angels & Airwaves album for nine months, and stating that the new Blink-182 album had to be finished in six months, creating an even greater rift in the band. In the end, DeLonge wrote that he still cares for Hoppus and Barker, as "brothers" and "old friends," but following Monday's actions, their relationship has been "poisoned." "Never planned on quitting, just find it hard as hell to commit," DeLonge concluded.